When is Schacharit, Mincha and Maariv? Our detailed prayer schedule is published every month in advance, and includes the times of Shabbat entrance and exit. Please only refer to the current month times. 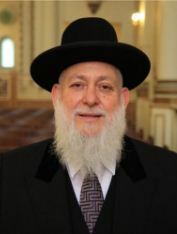 What Nussach (Liturgy) is davened at the Synagogue? Our Tefilot are in Nussach Ashkenaz, the Nigunim are mostly the classic Ashkenazi nigun but often combined with some more contemporary nigunim such as Karlebach. Do we need to register beforehand in order to join the prayer services? 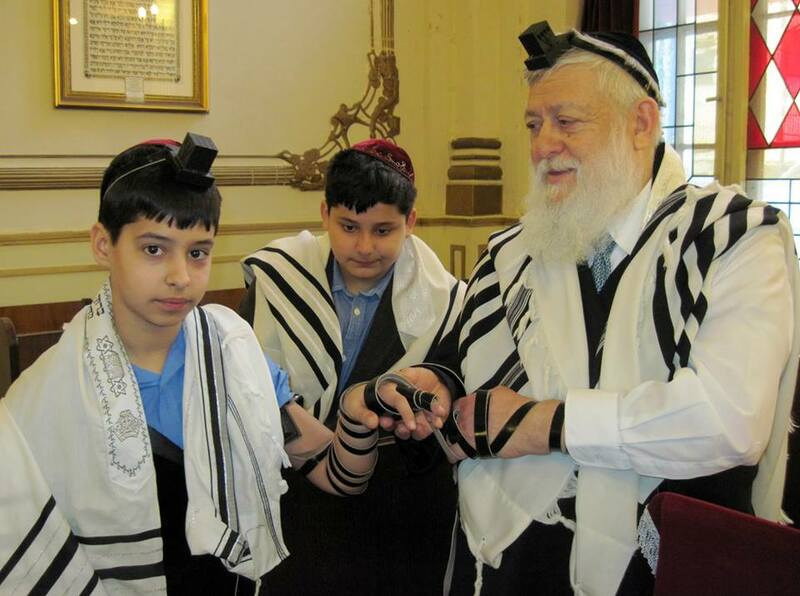 No prior registration is required for joining the prayers at our Synagogue. Just show up at your convenience. Are there Shabbat candles available at the Synagogue on Fridays? Yes, every Friday before Shabbat entrance candles are made available for Hadlakat Nerot. Why is Shabbat Entrance in summer time early? It is our custom in Berlin to receive Shabbat earlier than sunset in order to enjoy the Kabalat Shabbat and the Kiddush Dinner at reasonable times. Is there Havdallah at the Synagogue after Shabbat End? Yes, Every Motzaei Shabbat after Maariv we make Havdala for everyone. 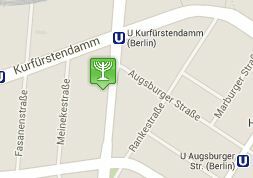 In which part of Berlin is the Synagogue Located? 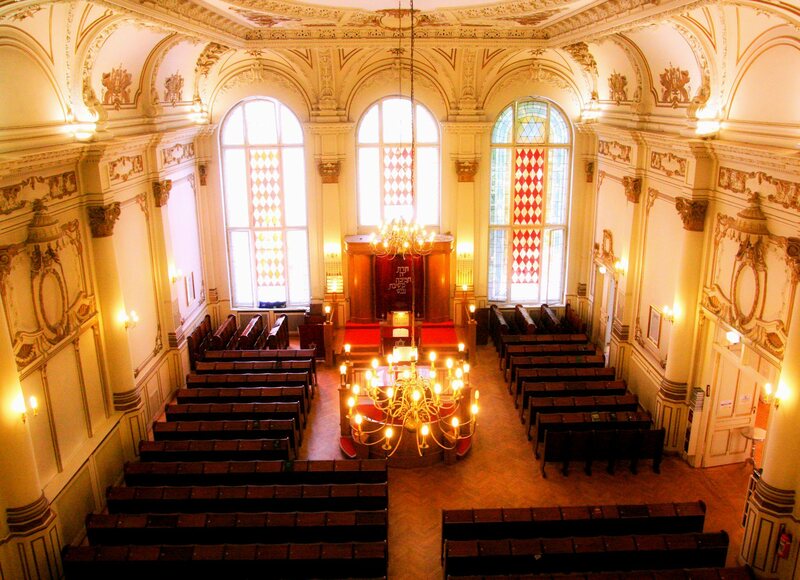 The Central Orthodox Synagogue of Berlin is located in the center of the western part of Berlin in the Charlottenburg quarter, right next to the well-known boulevard Kurfuerstendamm (aka Ku’damm). The nearest U-Bahn station (subway / tube) is also named as the boulevard. Are there any hotels in the area of the synagogue? google map of the area where many of the hotels are designated, or visit our screenshot page. Can large groups join the services as well? Yes, our Synagogue has plenty of room and can accommodate larger groups. Only on High Holidays Rosh Hashana and Yom Kippur, where the shul is really crowded, we ask that groups contact us in advance. 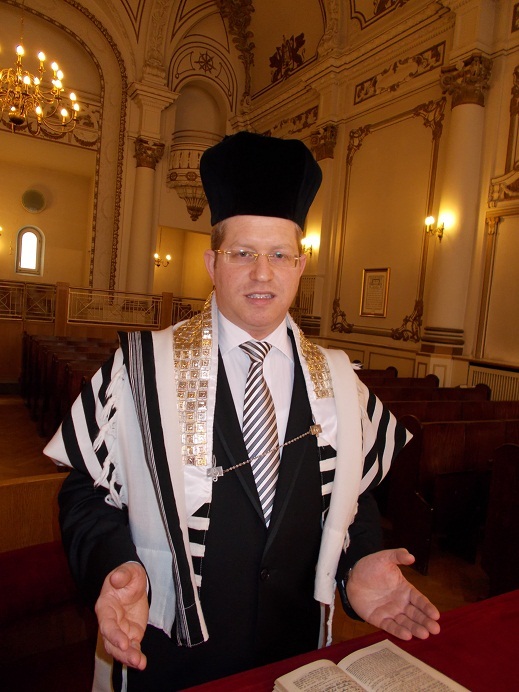 Is there a Mikve at your synagogue? Is there Eruv in Berlin? Unfortunately, there currently is no Eiruv in Berlin.